Yowza on the before shots! I'm surprised you don't lug a grey card around with you - I'm sure that'd make your pp go by a lot easier. Your white balancing skill is just perfect. You HAVE to have like 3 stomachs woman! The food looked amazing. Also, GREAT job on lightening up those shots! I peeked at the frightening before shots and you worked your magic big time! I am still in awe of your formidable skills, both photographic and gastronomic. And you WB recovery is excellent; starts with a workable original, right? Get well soon. I need to be further tempted. How can evil be so good? I made the mistake of looking at your photos on a hungry stomach. Oh my goodness everything looks delicious! Beautiful photos! mmmm, that looks good. I can't believe the difference in the before shots, you make them look so much better. this looks like an amazing spread! Oh my Heavens. My stomach won't stop gurgling. I am SO freaking hungry now! It's only 9am and I feel like eating pretty much everything you took a photo of. 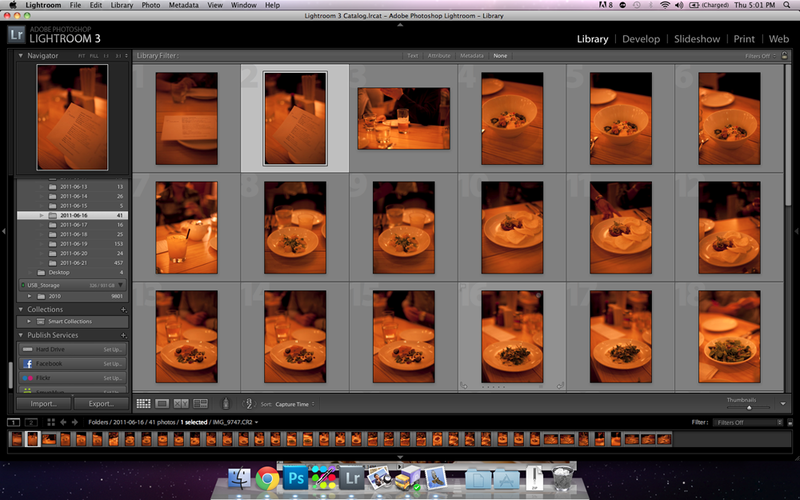 nice eats as per usual ;) how did you shoot in Ma Peche? They are super strict about it I thought. They are firm no cameras allowed in all of chang's restos. Glad you got it! Screw those no photo rules, they are made for people who put up ugly pics. haha, gotta love LR's WB! i love it. that thai food looks ridiculously yummy. Wow, at both the pictures taken using the S95 and the heavily post-processed photos! I still rock my S90 often. Love that series of camera! And I gotta get me some of that strawberry rhubarb bread pudding. Looks so stinking good!